Gelareh Kiazand based between Tehran and Toronto was born in Iran 1981, studied in Dubai then London and graduated in Toronto in 2003. Her student short films toured festivals like Toronto, Montreal and New York. She worked in Iran’s film industry for six years post graduation, initially working as a film photographer for Iran’s feature films and later as a Director of photography for documentaries. This enabled her to travel across Iran to some of the countries most remote locations. She was chosen, alongside others, to have her work in the top 100 photos exhibited at the Museum of Modern Arts in Tehran as well as Arles Photo Festival in 2017. VICE, Paramount, PBS, Al Jazeera and independent producers spanning across Afghanistan, India, Turkey, Azarbaijan, Europe, Argentina and Antartica. Her TEDxTehran talk focuses on these travels and the ambition behind them. 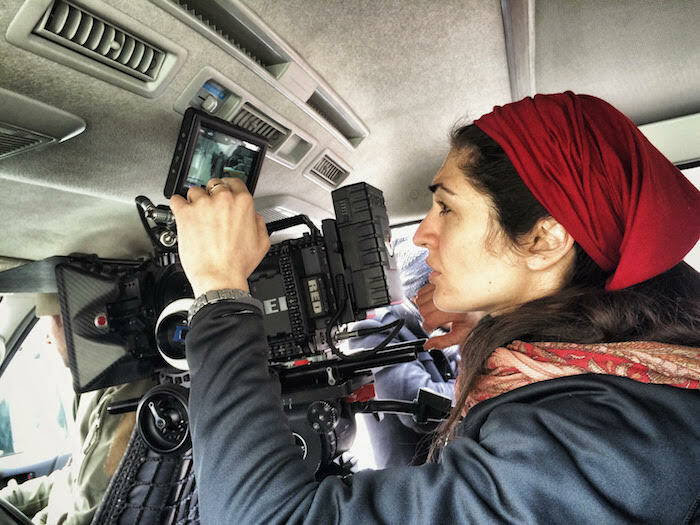 In 2016, she became one of Iran’s first female Director of Photography for a Cinematic feature film post revolution.